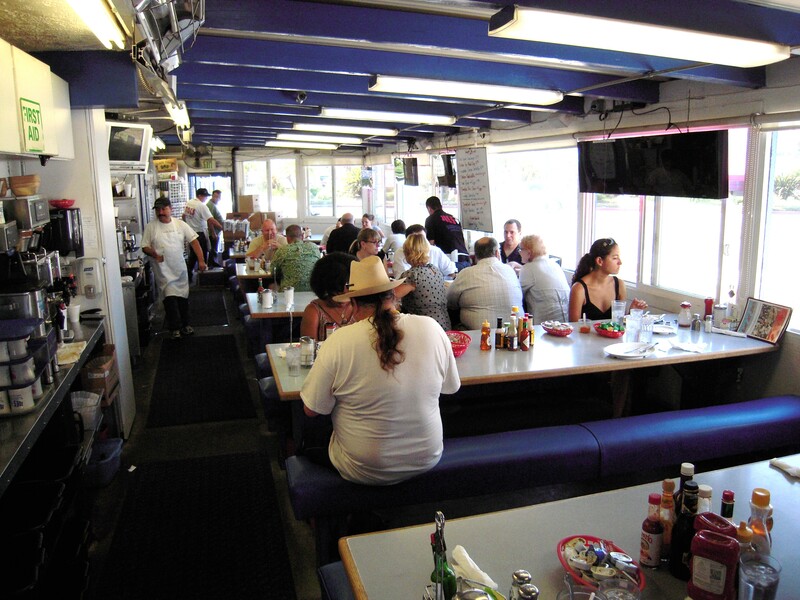 Eat at Joe’s, located at 400 North Pacific Coast Highway, is a local landmark, having dished out a long list of local favorites for over 40 years. With communal-style seating, it’s where you can’t help but rub elbows with your neighbors as you enjoy an endless fresh cup of coffee to take off the chill of the canyon. That’s only the beginning as you’re tempted by a myriad of delicious breakfast and lunch choices. This includes my personal favorite, as well as being the dish that helped make Joe’s famous, the John Wayne Special. Named after America’s finest dead actor, this dish is guaranteed to put the “hearty” in the hearty attack eating too many of these will cause. That being said, it’s a magnificent example of layering flavors… literally. 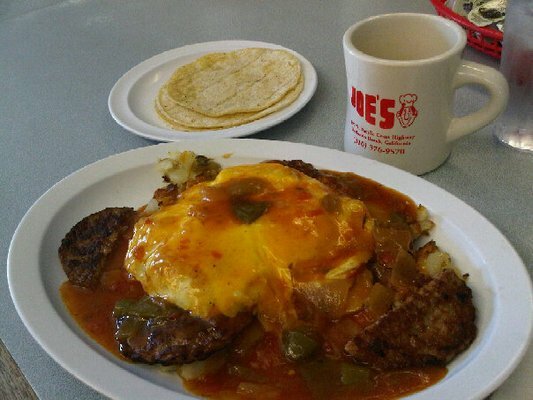 You start off with 2 flour tortillas, top it with a layer of cottage fried potatoes, add 2 sausage patties and over easy eggs, and liberally top with cheese and Joe’s own enchilada sauce, and you’ve got a meal fit for a diver(please be sure to add wheat toast just to keep it healthy). It’s magnificent in all it’s glory. You’ll love it. 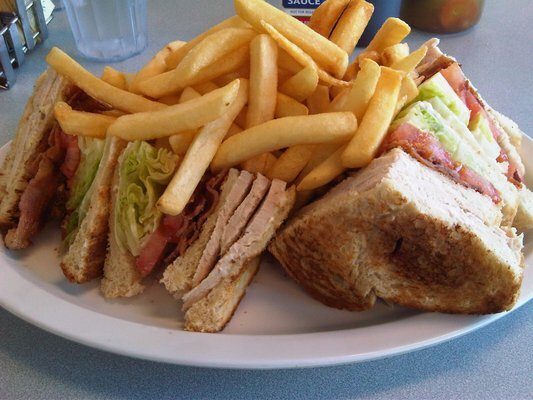 If you’re up for a sandwich or a burger, there are a lot of different options for you as well, like the triple-decker club. if you come for the food, you’re going to stay for the atmosphere. It’s just a fascinating place to hang out with probably as diverse a crowd as you’ll ever find in the homogeneous South Bay. Old and young, short and tall, thin and round, you’ll see a little bit of everything here but there is nothing if not a cool, laid back beach -town vibe going on. Even as you wait in line to get your spot at one of the multiple benches, you can’t help but relax, knowing what awaits you on the other side of the screen. It’s not perfection but it is where perfection goes to get a good breakfast. 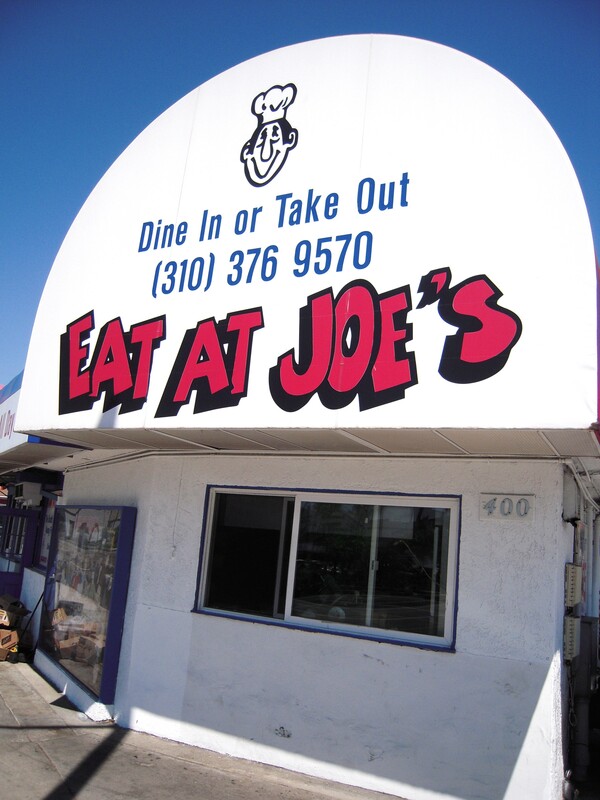 Eat at Joe’s. You’ll be glad you did. Next Next post: October is National Seafood Month!